BAUCH is now GMP Certified! We are glad to announce that BAUCH (Phils.) Laboratories Corp. is now GMP Certified! 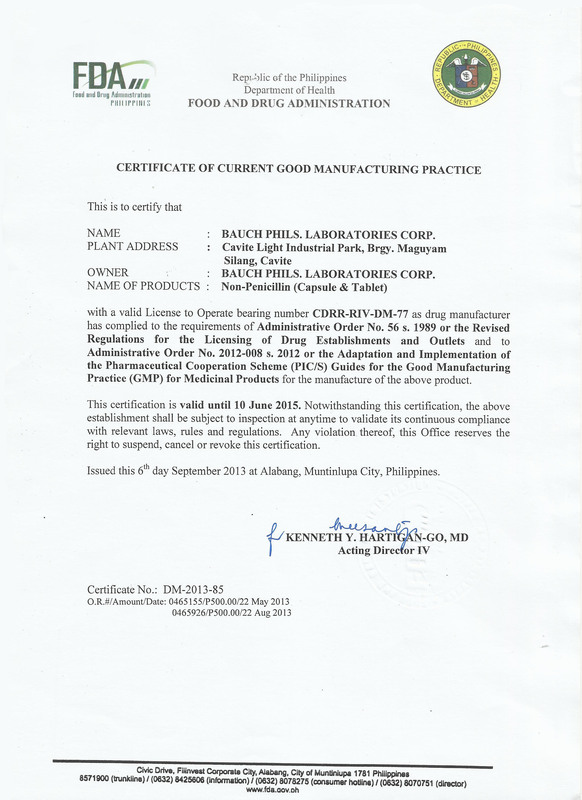 On September 2013, the Philippine FDA has certified BAUCH for its Good Manufacturing Practices, with Certificate No. 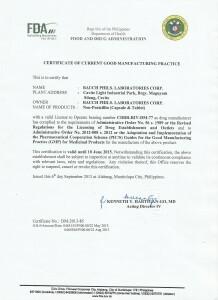 DM-2013-85, subsequent to the renewal of the BAUCH LTO as Drug Manufacturer with LTO No. CDRR-RIV-DM-77. Congratulations to the BAUCH Staff/Employees and Officers. Let us continue to work with Quality & Excellence! Watch out for the coming updates!